The EU has opened its arms once again and welcomed Croatia to its flock. It seems incredible that only 20 years ago this beautiful country was in turmoil, beaten and bruised from four years of war. Time really does heal. I first visited Croatia ten years ago, a time when there were no direct flights from Ireland and our route took us from Ireland to Venice, by bus to Trieste, aboard a boat to the tiny town of Rovinj. We arrived during the biggest festival of the year, our weighty backpacks and map giving us away immediately as tourists. There were no signs for hotels or B&B’s and when we finally found a small building with a sign advertising rooms, they shook their heads and said there were no rooms left in town. As we sat on a wall, feet resting on our backpacks, we watched on enviously as the locals knocked back beer, laughed and danced. I resigned myself to not sleeping that night. It took around an hour for someone to take pity on us and the lady was probably around 90 years old. She waved for us to follow her and pottered away from the bright lights of the square towards a dark, narrow street. Myself and my friend looked at each, shrugged, grabbed our bags and ran after her. She led us to a crumbling building, up a narrow staircase and into a tiny apartment. She sat us down for a few minutes while she bustled around in an adjacent room. Within ten minutes she’d refreshed what must have been her bedroom and presented it proudly to us. There were crosses, photos of Jesus, Mary and what must have been every saint known to man, nailed into the wall. This was our home for the night and I’d never been so happy or grateful. We ended up staying with the unsmiling lady for three nights, while we got our bearings and enjoyed the festivities. I quickly discovered Croatians don’t smile easily, but when they got to know you they warm up. 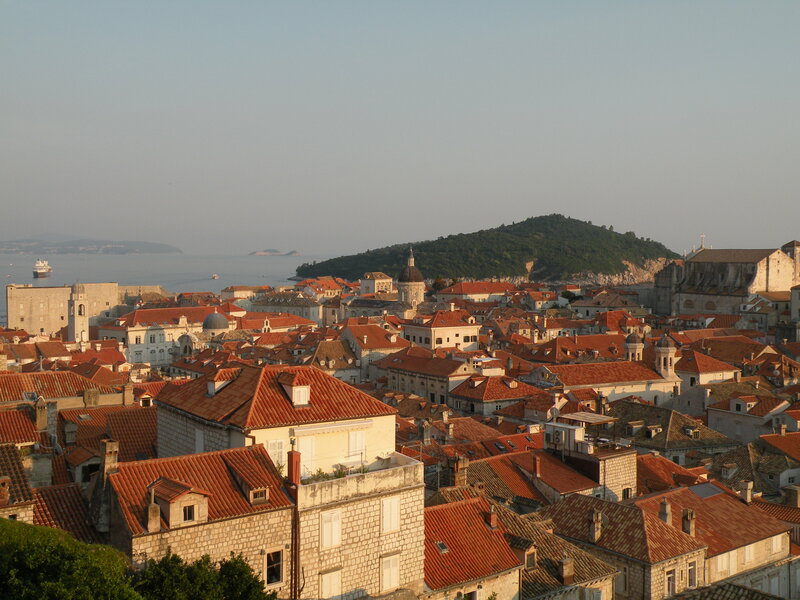 This was my first experience of Croatia and I spent three weeks travelling down to Pula, across to the islands of Krk, Cres and Lovinj, swimming in crystal clear waters, sleeping in people’s homes and small hotels, eating average food and enjoying the distinct lack of tourists. The only other people who seemed to know about this hidden treasure were the Italians and a few Germans. During these three weeks I only heard whispers of the war, but it was apparent, they simply wanted to move forward and not look back. Today, Croatia has been discovered by many travellers and is now one of Europe’s top sun destinations, its coastline stacked with spanking new hotels and apartment blocks. The roads have improved, as has the food, accommodation and array of activities for tourists are now on offer. Tomorrow on Ireland AM I will be chatting about the different places you can visit and how to get around.